Costco’s Black Friday: What Can You Expect? For the holiday shopper on a budget, warehouse stores are an excellent bet. Among them is Costco, which – like many other retailers these days – offers bargains on Black Friday. However, as Costco isn’t the only store on Earth and you need a membership to capitalize on its deals, you’ll want to know whether their deals are worth pursuing. Should you get out your membership card or head for greener pastures this Black Friday? Let’s take a look at what you can expect from Costco as the holiday shopping madness commences. “Black Friday” sales are beginning earlier each year. This year, Wal-Mart has taken it to a new level by starting its sales a week before. For those opening specifically on Thanksgiving this year, plenty of shoppers have taken to social media to express their disgust. The more traditional crowd will certainly welcome Costco’s approach. Its sales won’t begin until 9 a.m. on Black Friday and they’ll last through Sunday, December 1. This gives Costco fans plenty of opportunity to find bargains without feeling pressured to head out on Thanksgiving. That said, fellow warehouse club BJ’s will offer sales from Sunday, November 24 through Sunday, December 1. Keep this in mind if you’re choosing a warehouse club to sign up with purely for Black Friday deals. If you’re heading to Costco with their Black Friday ad in hand, you may want to perform a little research in advance. That’s because, unlike nearly every other company, Costco doesn’t list the actual final prices on its ad. Instead, it simply lists the savings and you’re left to compare it to the original price by looking it up online or in stores. Curiously, Costco hasn’t advertised any television bargains for Black Friday. While the knee-jerk reaction may be to assume it simply cannot compete with Best Buy and Wal-Mart in this arena, consider that BJ’s and Sam’s Club are at least attempting to do so. BJ’s, in particular, has several excellent deals, including a VIZIO 32” LED HDTV for $199.99. Overall, it has over a dozen television deals ranging from $50 to $1,000 off. Costco’s most notable tech deal is on the Samsung Galaxy Tab 3, which it sells for $299.99. That, however, is the same you’d pay Best Buy and just above Wal-Mart’s price of $299. On the other hand, some of Costco’s deals aren’t quite as good as you’ll find elsewhere. For instance, while you’ll pay $799.99 for a 15.6” HP Touchsmart laptop at Costco, you can get the same device for $599.99 at Best Buy. Even though cameras are less relevant today with the rapid growth of smartphones, the fact that Costco only has two in its Black Friday ad leaves much to be desired. BJ’s, on the other hand, has around a dozen for sale. Again, while it may be easy to assume Costco doesn’t think it can compete with the likes of Best Buy and Wal-Mart on tech devices, the fact that BJ’s is being so aggressive raises an eyebrow. 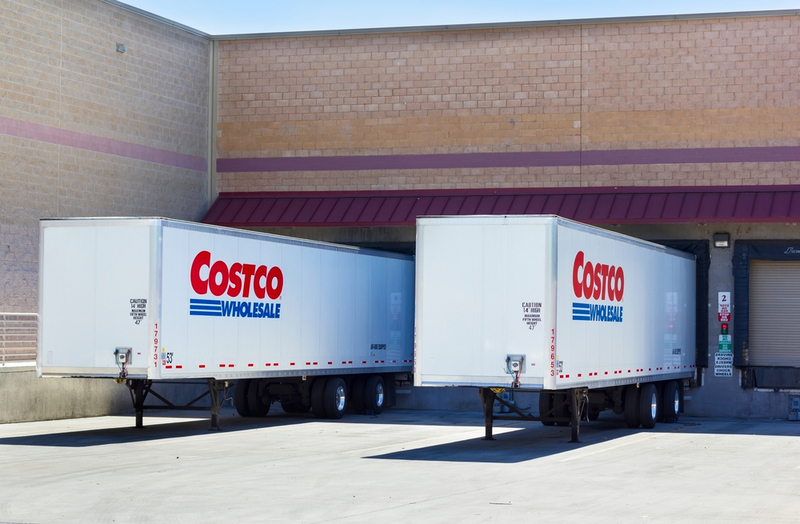 Costco does top rival BJ’s and Sam’s Club on Black Friday clothing deals. While its competitors offer very few sales, it offers about a dozen various items, namely hoodies, pajamas and socks, for sale. Most, however, are for just a few dollars off, but that could still add up if there are plenty of clothing gifts on your list. Costco’s Black Friday deals are so-so at best this year. The competition is offering more deals on highly sought-after items and granting a longer time period in which to get them. Thus, even if you’re a regular Costco shopper, you may want to sign up at BJ’s if you plan to do extensive holiday shopping or even just head to Wal-Mart, which might be the best option this Black Friday with its ad-match guarantee. Costco image courtesy of Shutterstock.